Prodigies in piano or dance can study at schools like Juilliard to develop their musical or performing arts talent. By contrast, nothing like Juilliard exists for children who show great promise at math. But an ambitious experiment will soon change that: In fall 2015, a small, independent school that's exclusively tailored for math whizzes will open in downtown San Francisco. Designers of the new, non-profit Proof School intend to provide mathematically gifted youth an intensive and complete education in grades 6-12 that typical schools can't muster. The pupils will learn advanced areas of math, such as number theory topics that a university math major or graduate student might tackle. They'll work on math research projects, and engage in community service through math tutoring. "They're going to be involved in math in a really different way, a really exciting and dynamic way," said Sam Vandervelde, who is leaving his math professorship at St. Lawrence University in New York to become the new school's dean of mathematical sciences. Proof School will initially open with roughly 45 children in three grades, with plans to grow to around 250 students in a decade. Getting in won't be easy, but the school's mission is to serve the needs of "math kids" in the Bay Area -- ranging from high-IQ wunderkind types to students who participate in math competitions or math circles, to children who love to play with numbers. "What we want is kids who are passionate about math," said Paul Zeitz, school co-founder and chair of mathematics at the University of San Francisco. The new school takes its inspiration from math circles, an Eastern European and Russian tradition that spread to the U.S. starting in the 1990s. These weekly extracurricular clubs bring youngsters together with a mathematician who guides them in exploring numerical ideas and concepts in depth. It's often a highly interactive conversation, with the kids avidly chiming in with questions and thoughts. "We want to develop and nurture every one of those kids and bring them along as far as they are capable of going." For kids who live and breathe for numbers, the experience can be transformative, as Ian Brown of Marin County, Calif., can attest. In 2011, he began taking his 10-year-old son, Nico, to local math circles. Nico hadn't been happy or thriving in his public elementary school, because "he wasn't finding kids in his classes who understood what he was going on about when he was talking about higher mathematics," Brown said. But math circle changed everything. "Not only did the lights go on, but the heart went on," he said. About a year later, Nico joined an advanced, invitation-only math circle for a half dozen students that was led by Zeitz. "Here they all are, for two hours once a week, joyful, joyful, joyful," Brown recalled. One day in January 2013, as he watched the group animatedly discussing how many ways there are to color a cube with two colors, he turned to another student's father, Dennis Leary, and marveled: "Look at these guys, they're thrilled to be working together. Why don't we do this all day long -- and every day?" Brown wanted to build a school for kids like his son "that they feel is really meant for them." One conversation led to another and to the birth of Proof School, with him, Leary, and Zeitz as co-founders. To jumpstart it, Brown left his job as a language-arts teacher and dean at a private school for gifted and talented youth where his son, now 13, currently attends seventh grade. While San Francisco has several high-caliber schools, including Lowell High School, it lacks specialized science schools such as Stuyvesant High School in New York City or the North Carolina School of Science and Mathematics in Durham. But Proof School won't be like any school out there, anywhere, Zeitz said. Not only will its student body be different -- they'll all have exceptional math ability -- but so will its teachers. At a traditional school, a teacher in a top-notch math classroom might take students on the intellectual equivalent of a strenuous hike that brings them to top of the hill. But as Zeitz put it, "what they don't realize is that they're in this incredible mountain range, which they can't see because their teacher doesn't know how to get them to put on a hang glider and jump off the cliff and see the entire topography at once." Proof School teachers will ideally have math Ph.D.s and the deep expertise to do that, he said. As in math-circle style, the curriculum will emphasize working on and communicating about interesting math problems. Because one of Proof School's guiding principles or "axioms" is not to waste their pupils' time, the kids will be spared the unchallenging busy work or mind-numbing exercises that are common in standard schools, Zeitz said. 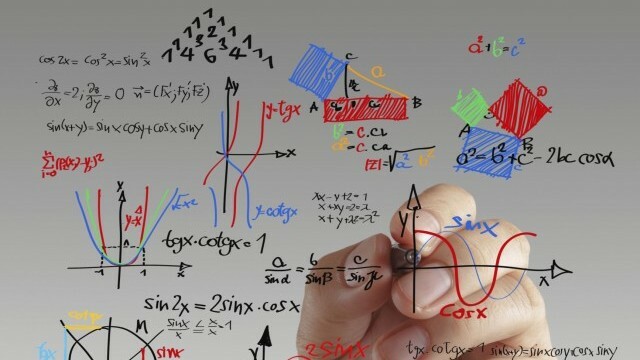 Every afternoon, students will spend two-and-a-half to three hours learning mathematical sciences, including computer science. Following an unconventional block curriculum structure, the academic year will be broken into six blocks of math instruction that each immerse the entire school in a single topic (such as problem solving or algebra) for five weeks straight. For each topic, kids will be placed into 10 to 12 different tiers by their skill level, Vandervelde said, which allows a lot of flexibility in meeting their individual needs. "We'll sort kids into groups based on what they're ready for," he said, not by age or grade. Some off-the-charts precocious students will be able to take on very advanced problems at the level of the U.S.A. Mathematical Olympiad, and "we're going to be ready for them too," said Vandervelde, who, like Zeitz, competed in the International Mathematical Olympiad as a teenager. "We want to develop and nurture every one of those kids and bring them along as far as they are capable of going." Recruiting girls to the school is a high priority, Zeitz said, noting that many young girls are enthusiastic about math but often drop out in their interest between sixth and ninth grades. "We would like to fight that trend as much as possible," he said. Beyond numbers, the school will offer a full education, with non-math courses in English, history, languages, and science all scheduled in the mornings in a traditional grade-level manner. Proof School's teaching style will also draw upon blended learning methods that make use of technology in the classroom, as well as inquiry-based learning practices. Because classroom facility space will initially be limited, the founders plan to tap nearby educational resources: Students might go to the Exploratorium for hands-on science learning, to the Museum of the African Diaspora for history, and to TechShop for 21st century shop class. Since some math kids are not exactly social butterflies when it comes to people skills, the school's guiding axioms also make a point of teaching students how to engage with and navigate the world around them. "We will work as hard on social-emotional intelligence and communication skills -- writing and public speaking -- as we will on anything else," Zeitz said. Zeitz and his colleagues have much work ahead to make all the prime factors of their creative ideas, logistical plans, and hiring goals -- which includes finding a charismatic humanities dean who "is able to stand up to math nerds," he said -- add up to an equation for success. They're getting ready to launch an early admissions program and give "a day in the life" school preview this summer. Currently in fundraising mode, the founders hope to secure at least $1 million in order to keep the private tuition as low as possible and provide ample scholarships and financial aid. To make the school accessible to math kids around the Bay Area, the campus will be located near public transit, most likely in San Francisco's South Financial District area. The founders also plan to share their math curriculum and resources with the world in an open-source way, which will include hosting math talks and events for the public. Many families in Silicon Valley have expressed strong interest in Proof School, but other reactions have ranged from initial skepticism to some concerns that the school will be elitist. "We're not going to be elitist but we will be elite," Brown said. "We're not going to be snobby. We're simply taking kids who operate at this [intellectual] level and putting them together with their peers, which they haven't had in the past. And many have suffered for it." His own son, for example, is leaving his private middle school after this academic year because he has no math peers there, Brown said. If all goes well, after a gap year of homeschooling, the plan is to start Nico in ninth grade at Proof School in September 2015. "Oh, he can't wait!" Brown said.